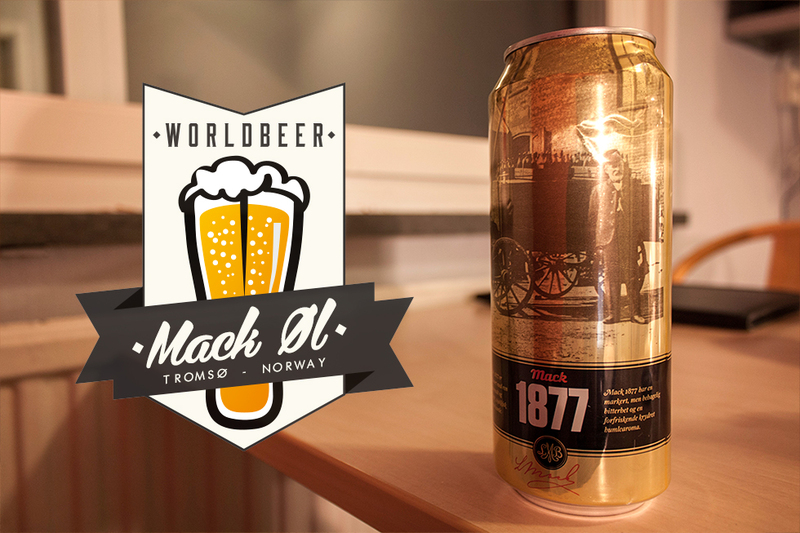 A few time ago, we told you about the city of Tromsø, so we knew that to inaugurate this section « Worldbeer » we would talk about the beer made in Tromsø, Mack. If you are addicted to our blog, you already know that we were unable to visit the brewery. Because the Mack company did not answer our questions, we are going to try to tell you the whole story based on informations we found ourselves. For many years, Mack proudly said it was the most northernly brewery in the world. But although it is still marked on cans and bottles (marketing hype for sure) it hasn’t been true since 2000, when a microbrewery opened its doors in Honningsvåg, situated a few kilometers away from the North Cape. The story began when Ludwig Markus Mack, son of a German immigrant, decided to open a brewery in Tromsø after having made a few visits to his uncle’s, a brewer in Bavaria. Other reasons pushed him to make that choice. First, Tromsø was a vibrant and wealthy port city, thanks to the many resources of the Arctic Ocean. For example, the upper-class women imported their dresses directly from Paris (maybe that explains the town’s nickname: « The Paris of the North »). Second, Ludwig Mack was a wise businessman and where others saw problems, he saw opportunities and solutions. He finished the Mack Brewery in 1877, thanks to his power of persuasion, his strong personality, and, last but not least, $ 72,000 – a colossal sum at the time. Mr Mack was experienced, because he was himself born in a family of brewers, so he knew what to do. He began by launching draft beers, for obvious reasons of storage, and gradually began to decline models, expanding its customer base every day and stating its brand well beyond the borders of the city. 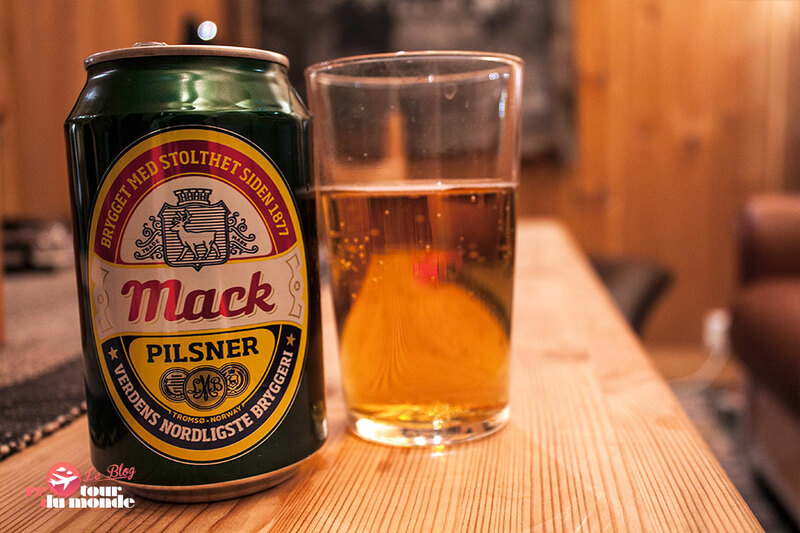 It was done: Mack became a symbol of the city of Tromsø. More than 135 years later, things have changed and Mack has expanded its range of beers but also commercializes soft drinks such as mineral waters or fruit juices. The original vision of the founder still remains and the fifth generation of the Bredrups family is currently running the company. Mack is more than 18 different types of beers today. 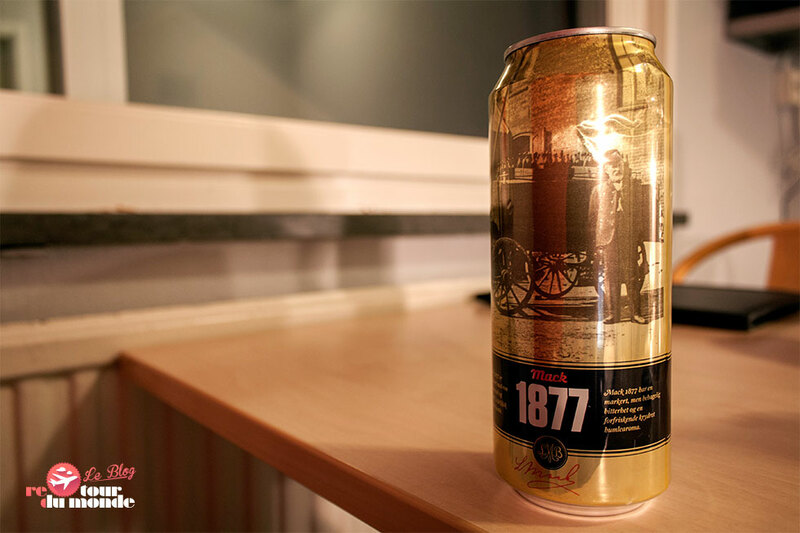 We tasted only 3 : the classic Mack Pilsner, a « 1877 » limited edition and the Arctic Beer. We can’t hide that we brought back 2 others home : a Bayer and an « Haakon » (reference to the Royal family), but we keep them for later, just to make the pleasure last. To conclude, we learned – too late – that the brewery can be visited. But according to the ’’Thornews website’’, the opening period is from June to August (we couldn’t have visited it in the end) and it costs 130 Nok. 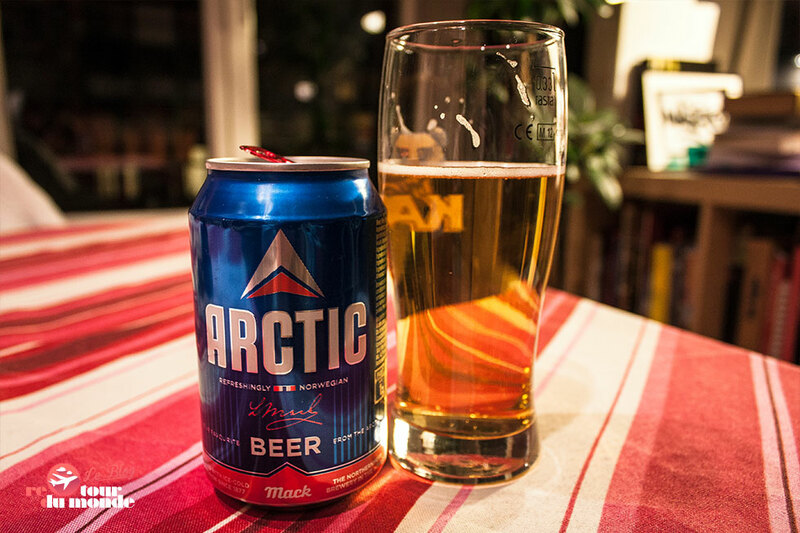 In the meantime, drink responsibly, but note that Mack beer does taste better when you drink it in front of a fjord, during an Auroras Borealis night.